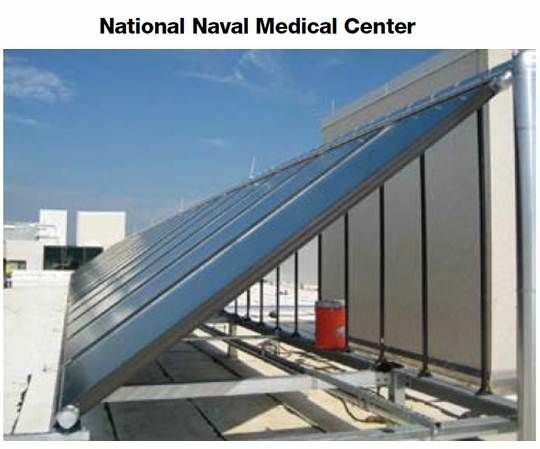 Eneref Institute, founded in the wake of the September 11 attacks to help shift the nation’s energy use, has recently taken up the cause of solar thermal and brought it to the Pentagon where, due to budget constraints, it has been well received. Yes, that is correct. Solar was well received by a military whose budget is being cut back. The phrase 'solar thermal' is generally used to mean solar water heating (SWH). The technology is much older than the more familiar photovoltaic (PV) solar, which generates electricity from the sun’s light. U.S. patents on SWH go back to the 1890s. But while PV is booming, the U.S. SWH industry is growing slowly. The U.S. is among the world’s leaders in most renewable technologies, but its SWH industry, though growing at 6 percent annually, according to recent SEPA statistics, had only 2.3 gigawatts-thermal installed capacity in 2010, while China had built 118 gigawatts-thermal and the world as a whole had built about 185 gigawatts-thermal. The U.S. Department of Defense (DOD), urged on by Eneref Institute founder Seth Warren Rose’s advocacy and the drive to get excess costs out of its budget, is about to take a hand in moving U.S SWH forward, according to Holocene Energy CEO Ralph Thompson, an Eneref advisor. “There has been a problem with the solar thermal industry that the DOD is really anxious to help get sorted out,” Thompson explained. 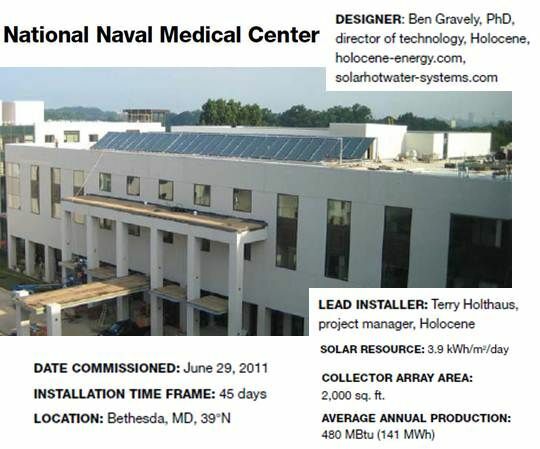 Eneref is coordinating between the Pentagon and the solar thermal industry “to get the right contractors and the right designers on the program.” An Eneref-organized, industry-funded group of SWH and solar heating and cooling (SHC) specialists is now working to have “a package of consensus standards and best practices” by the end of 2012. According to the group’s estimates, DOD hot water use (showers, food service, hospital, equipment maintenance, etc.) is at least 50 million to 100 million gallons per day (MGD) and SWH could meet 30 percent to 50 percent of that. It would require some 25,000 standard collectors of 1,000 square feet (KSF). 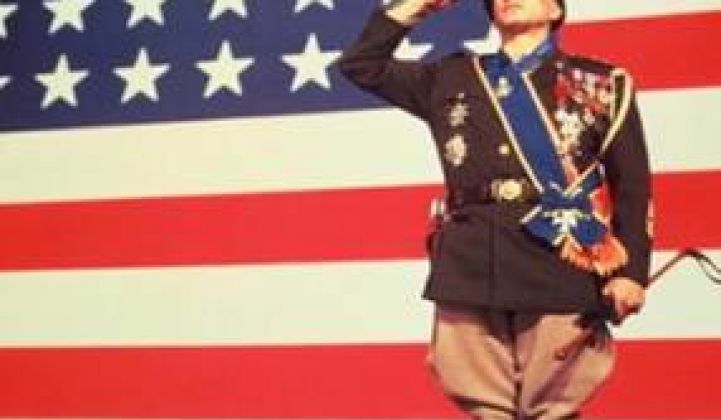 A total of 20 percent of that (5,000 KSF per year) will be needed in the coming five years, according to the group, to meet the requirements imposed on the Pentagon by executive orders. Eneref’s claim that SWH could meet 30 percent to 50 percent of the military’s demand was guided, Thompson said, by the industry’s general rule that if a system is precisely designed and properly installed it will supply most of the hot water in the summer and perhaps 20 percent to 40 percent in the winter. What Holocene Energy, Skyline Innovations and other leaders in the solar thermal industry are working to make possible, Thompson said, is the pre-design of the most efficient system, the building of it in a manufacturing setting rather than at the project site, and a quick and therefore cost-effective delivery and installation. By making SWH more finance-friendly, the industry can attract more of the third-party financing that companies like Holocene and Skyline have recently been winning. And by using private-sector money and contractors, the Pentagon can resolve pressures it has been getting from the White House and Congress to make budget cuts.